So natural is good by default ehh? In this form the statement sound very categorical, and hence, put in this fomr, the claim can be falsified by a single unambiguous counter-example, and there are plenty... Curare, a compound extracted from nature (and thus a natural compound?) will paralyze you and hence is not recommended unless you need to be still during a surgery. 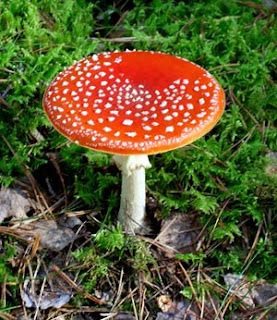 There are many different, naturally growing mushrooms, which will kill people who try to eat it. There is also the fen-phen scandal where a product which was advertised as an alternative medicine was later shown to have severe side effects, despite the fact that the active ingredient was "natural". Ok, sure, there are a few extreme counter-examples, but still, isn't natural products better in general? Well this is certainly debatable and I would not jump to verdict just yet, however, the evidence to date actually tells the opposite story, namely that natural is often worse than "synthetic" (or whatever you won't to call it). Plants which are sprayed with pesticides are protected from potential predators and therefore they can use all their energy to grow. Now that I think of it, it is rather similar to us humans, in peacetime we can spend our energy on building schools and being nice to children and that sort of stuff... Plants which are not sprayed are not given their protection and therefore they have to use allot of energy on chemical warfare (or the plant-equivalent thereof). Basically they produce chemicals which will make the predator (us), sick. But don't synthetic pesticides make you sick too? In large quantities they might (just like natural pesticides). However, pesticide control is rather strict and the chemicals used are tested so that they are of minimal danger to us... I have written more about this issue here. The second argument says that if something has been used for a long time then it is because it is good. Again there are many counterexamples. Some people persist in using astrology even though it has been falsified over and over again. Astrologers cannot do what they claim to be able to do, and add to that the fact that their quackery is based on an astronomical model that is very out-dated. 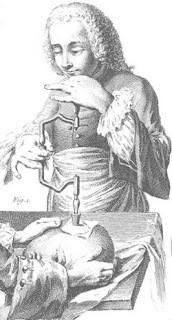 Still people are still using it… If we would have strictly gone by the "old is good" rule we would still be drilling holes in people's head to relieve headaches (here you can buy your own drill kitJ), and what about all new techniques and medicines that are developed? Are we to discard them because they are new? The fact of the matter is that we cannot rely on tradition. The way to test whether a therapy is good or bad is to do a proper, scientific test where it is possible to isolate the effect of the medicine from other factors such as placebo. What really amazes me though, is how people seem to think that the fact that "alternative medicine" cannot be shown to have any effect, just adds to the mysterious greatness about them! They are called alternative, solely because they are not rigorously tested like conventional medicine, which is due to the fact that these tests would not give the desired results. I has problems with sexual impotence but I find very effective treatment Generic Viagra Many companies offers generic Viagra and thousands . Generic online pharmacy, no prescription needed is the most convenient place for you to buy cheap generic viagra order online and other quality prescription meds without prescription. I get exactly what I am looking for: top quality drugs, lowest prices, fast shipping and guaranteed satisfaction! Oftentimes the so-called "alternative medicines" that does virtually nothing are the ones that lasts longer in the market. If it doesn't harm anyone there is a tendency not to give them further studies by medical experts. So they still continue to sell and claim anything they like.